Mental exhaustion is a common occurrence and is the result of brain overactivity. Being overwhelmed by tasks at work or by family responsibilities can leave you with feelings of frustration and mental unrest. You may also find yourself becoming envious of others you perceive as being more relaxed or laid back, as your level of mental stress can make you detest those who seem to have it easier. When you spend a lot of mental effort on a task, you become mentally exhausted. Though manageable at first, over time, your ability to maintain your focus becomes hampered. This may leave you with an inability to concentrate, leading you to make more mistakes than normal. Feelings of being stressed, irritated, and even depressed can lead you into a downward spiral, potentially affecting your health and the people around you. Mental exhaustion can be easily recognized as a feeling of being “burnt out” from excessive, long-term stress. Symptoms may initially present subtly, but worsen over time. 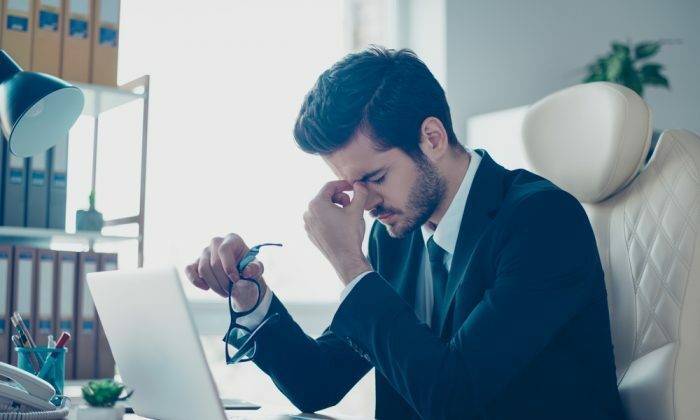 It is important to note that mental exhaustion may eventually manifest as physical, emotional, and behavioral symptoms, as all of these attributes are connected to the organ receiving the brunt of the mental stressors: the brain. Physical Symptoms: These may include feelings of being tired most of the time, an increased tendency for becoming sick, frequent headaches, back pain, or muscle aches. You may also notice changes in appetite and sleep habits. 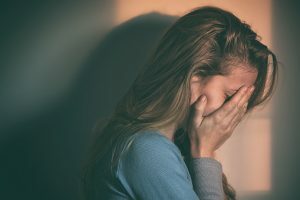 Emotional Symptoms: These can manifest as feelings of helplessness, as you feel trapped and defeated by your overwhelming sense of mental stress. The sense of self-doubt and failure may encompass the majority of your thoughts throughout the day, leading you to isolate yourself and develop a pessimistic view of the world and life in general. Mental exhaustion can take a toll on virtually every aspect of a person’s life. Poor work performance due to decreased productivity can lead to negative consequences at your job, such as demotion or termination. Your irritability and poor mood could affect the people around you, leading to conflicts with friends and loved ones. Your level of mental exhaustion may also affect your ability to perform physical tasks, as the brain may perceive simple tasks as being arduous and tiring due to your lack of motivation. The mind and body are quite resilient and capable of making a full recovery from the most harmful of physical injuries. This holds true for mental exhaustion as well. The biggest challenge is to admit a change needs to be made in order to recharge mentally and not feel guilty about it. The following are some simple tips that don’t require much energy but will set you on a path toward mental rejuvenation. Find time to relax. One of the biggest reasons for stress accumulation is the lack of time allocated to relieving it. If you have no outlet to relieve stress, it will continually build up and start to manifest into stress-related symptoms. Finding a spare minute here and there to collect your thoughts without distraction can help ease your mind. Spending some time to de-stress after work in a quiet location can help balance your stress levels throughout the rest of the day. Reduce sensory stimulation. Being around excessive noise and light can bombard the senses, leading to stress. Your body is most relaxed when sitting in a dimly lit, quiet room with minimal distraction. Constant sensory stimulation from electronic devices, such as a television or smartphone, can cause eye fatigue, leading to headaches and even insomnia. If at all possible, visiting a local park for the weekend can help give you a sensory reset. Prioritize. Not all things are worth doing, and some of the unimportant aspects of your life may be the biggest contributors to your stress. Recognizing the things that you hold near and dear and letting go of the unnecessary baggage that may be causing your mental exhaustion can be a cathartic experience and a great method for recovery. Mohan Garikiparithi is a health communications writer and former practicing physician. He previously served as the head of the Department of Microbiology in a diagnostic center in India. He now advocates for treating different medical conditions without the use of conventional drugs.